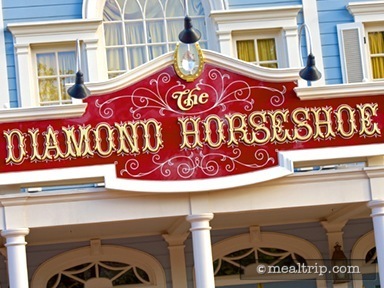 The beautiful old-west saloon/theater interior of the Diamond Horseshoe is open for dining on a regular basis again! 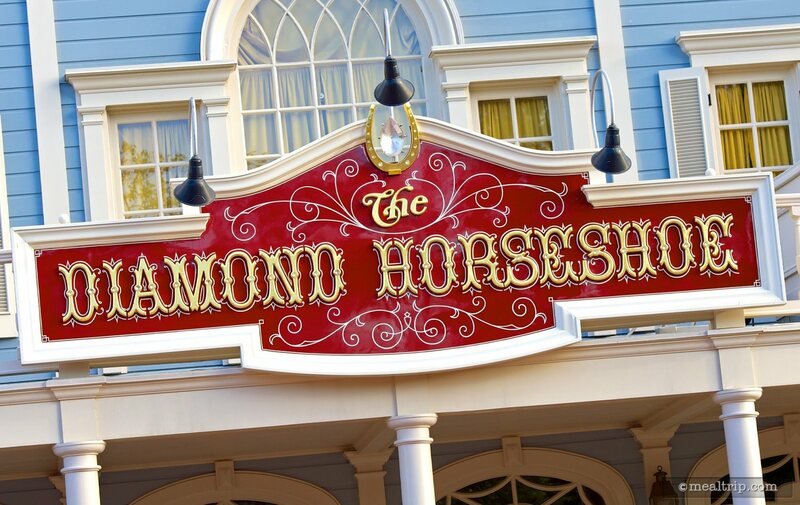 There hasn't been a "show" staged at the Diamond Horseshoe in many years, but there is a self-playing piano that provides period authentic background music for guests on the stage. Dining is served family-style from a predetermined menu, so there are three courses with no options per-say, but everything is all-you-care-to-eat. The first course is a Frontier Salad. The second course contains three meats (that we have seen vary from time to time) which are usually either BBQ Pulled Pork, Carved Turkey, Smoked Sausage, and/or Braised Beef, with some large "side" dishes such as Beans, Corn on the Cob and Mac & Cheese. For the final dessert course, there's a Campfire Brownie. Everything is served in large platters, and each guest at the table gets a smaller dish to select as much as they want from those larger portions. Basic beverages are included (such as water, soda, juice or coffee) and a couple of specialty slushy type beverages are available for an additional fee.